I want more research of Cannabidiol, the nonintoxicating component of the cannabis plant that has shown some medical promise — particularly for the treatment of children with intractable epilepsy. I want that research to comply fully with federal law and to meet the highest standards of medical practice as outlined by the the U.S. Food and Drug Administration, local Institutional Review Boards, the National Institutes of Health, the National Institute on Drug Abuse and the Drug Enforcement Agency. I want children with intractable epilepsy, or with any other illness that qualified medical professionals believe could be treated, to receive a purified, pharmacy-grade CBD oil — meaning a substance free from THC, the intoxicating and addictive component of cannabis that is especially harmful to the developing brain. First and foremost, we need a pharmacy-grade, purified CBD oil product because children should not ingest any amount of THC — even as little as the 0.3 percent often explained as “no big deal” by many state and federal lawmakers. If a child needs 200-600 milligrams of CBD a day, as many do, this adds up to a lot of THC administered in oil products that are not pharmacy-grade! Secondly, we need a purified oil because that is what will help the world glean the most informed science. Researchers should work only with CBD oil whose content is known exactly and is produced consistently so it can be dosed precisely by a licensed, medical professional. I have no financial interest in any maker of CBD oil and receive no compensation of any kind from the maker of any CBD oil product. It is admirable that so many compassionate and well-meaning people are moving quickly to help children — and, by extension, their families — struggling with intractable epilepsy. But there is a right way to help and a wrong way to help. The right way seeks to advance treatment based on the rigors of responsible science and with careful regard for the interests of public health and safety. The right way is transparent, accountable and complies with the requirements of both state and federal law — regulations firmly established to protect consumer safety. The right way looks a lot like the research with CBD oil approved recently by the states of Georgia and New York. It doesn’t help that the general public is awash in news reports and what amount to marijuana-industry-funded marketing campaigns centered on a CBD oil product commonly called “Charlotte’s Web.” There are anecdotal stories about how this substance has helped children with intractable epilepsy dramatically — foremost among them, Charlotte Figi, the Colorado girl after whom the product is named. Charlotte’s Web is not THC-free. As of this writing, its makers are not capable of producing a THC-free substance — and won’t be anytime soon. This is especially troubling because THC has been found to be a pro-convulsant. In other words, a child who receives more than trace amounts of THC regularly could experience more convulsions or suffer long-term damage to his/her brain development. Because the makers of Charlotte’s Web cannot consistently guarantee their substance’s contents or produce a pharmacy-grade, purified oil, it is highly unsuitable for responsible medical research. Because the contents of Charlotte’s Web aren’t exactly known, there is no guarantee of the oil’s consistency in quality. That means the substance fails to meet even the basic standards required of any substance that would — or should — earn the title “medicine” in the United States. Not every child with intractable epilepsy is responding favorably to Charlotte’s Web. Unfortunately, news reports and legislative hearings focus pretty much only on success stories. Sadly, we hear very little about the dashed hopes of many families whose children are not responding to the substance. Many of these families may have uprooted themselves from their home states, leaving behind a family-and-friend network of support, treating neurologists, jobs and medical insurance coverage. And because Charlotte’s Web is not subjected to the rigors of responsible, peer-reviewed pharmaceutical development, no one can say with certainty what the drug’s efficacy actually is. 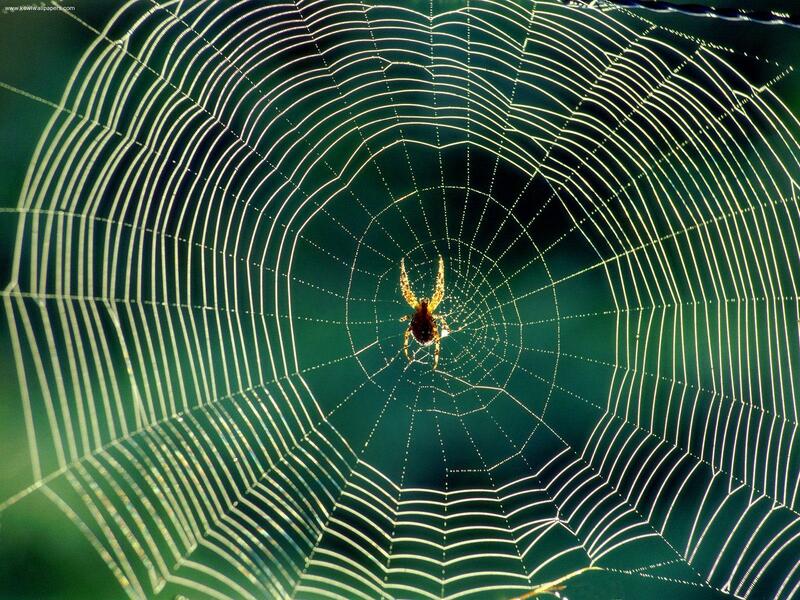 The makers of Charlotte’s Web say they want to conduct research of their drug — in Uruguay. This alone should make Americans stop to question seriously what is going on here. Why are these drug producers wanting to test their substance outside the U.S.? I cannot say for sure — but I do know they could conduct research right here in our country, one of the world’s best places to do work of this nature, if they could produce a pharmacy-grade product. There are also serious ethical concerns about making other countries’ citizens serve as our nation’s research subjects. GW Pharmaceuticals can tell us exactly what is in the drug it makes. Because it is operating within the bounds of federal law, once it is approved by the FDA, Epidiolex can be distributed to children and reimbursed by various private and public insurance plans — which is not true for those who receive Charlotte’s Web. GW Pharmaceuticals even is giving away the substance to children who qualify for its research studies. I encourage people to read more about GW’s Epidiolex program. The company is tracking outcomes very closely — as it is required to do by federal law. Though positive findings are significant, GW Pharmaceuticals officials also report that not every child is responding to the substance. Then there is Insys Therapeutics, Inc., which is making a synthetic CBD oil and is also going about the drug-development process the responsible way. From a statement the company issued in May about its plans to advance development of its product, an “over 99 percent pure form of Cannabidiol to treat epilepsy in children and adults. “Insys has engaged a large international Clinical Research Organization to provide development and regulatory services and has hired Mark Davis as Senior Clinical Director to oversee this program. GW and Insys are approaching the development of medications using the safest, most responsible processes — and Americans deserve nothing less. Which brings me to the U.S. Food and Drug Administration. GW Pharmaceuticals should receive a “breakthrough status” as soon as possible — and if citizens and local, state and federal lawmakers really want to be helpful, it is the FDA they should be engaging directly and immediately. This new status may help Epidiolex be approved by the FDA more quickly, allowing even more children to receive the drug — again, a THC-free, pharmacy-grade substance — to see if it works for them. The FDA should take a more active role in speeding this particular drug — and other CBD-oil products shown through the rigorous standards of responsible, ethical science to have efficacy — to market because real medicine is real compassion, too. Anything less is a poor — and perhaps even dangerous — substitute. Dr. Christian Thurstone is a world-recognized associate professor of psychiatry at the University of Colorado Denver. He is board-certified in general, child and adolescent and addictions psychiatry. You can read more about him here. Editor’s Note: Recently, the Epilepsy Foundation and Epilepsy Therapy Project presented a discussion about clinical-stage drugs centered on the treatment of epilepsy. Among the speakers is Alice Mead of GW Pharmaceuticals (appearing at 23:51 to discuss Epidiolex) and Paige Figi of the Realm of Caring Foundation (appearing 2:00:57 to discuss Charlotte’s Web). Should you not be able to view the video embedded below, please head to the conference’s website, and look for the video titled “Day 2, Session VIII.” This video also features executives from other pharmaceutical companies that, like GW Pharmaceuticals and Insys Therapeutics, are working within the bounds of responsible science and the law to develop treatments for epilepsy. I’m a VERY conservative ER doctor (don’t smoke or drink and run 2 pregnancy crisis clinics) with a child with intractable epilepsy (30-40 seizures a month and as many as 12 in a night). She’s failed a dozen medications, and we’ve seen the best doctors in this country. The next drug to “try” was felbatol. It causes aplastic anemia in 1:4000 patients; one of 4 of those will die. If she’s not one of the few lucky kids to get into the Epidiolex trial, would you be OK with then trying some other form medical marijuana? Or do you recommend I wait? Thanks for writing. As previously stated, we ardently champion responsible research of isolated compounds within the cannabis plant for the development of pharmacy-grade medications that are found to be effective and worthy of approval by the U.S. Food and Drug Administration. We do not support the legalization of “medicine” through popular or legislative votes or other processes operating outside the bounds and rigors of responsible, peer-reviewed science and federal law. We understand that the practice of medicine is a balance — and one that must consider not only the needs of individuals, but also the much larger interests of public health. But if this were your daughter, would you wait for the studies? There are options in the United States for obtaining pharmacy-grade CBD oil produced under FDA supervision — which is the route we would pursue if we had a child with intractable epilepsy. It is also because we have children of our own that we believe laws and processes for the development of medication should be respected. As people in our country have pushed outside these responsible boundaries and laws, they have helped to create serious abuses of an addictive substance that threaten all children — and they have given lots of cover to a recreational drug industry that, yes, targets children. What about the synergy effect that Dr. Sanjay Gupta reported about from Israel, as all the compounds must be present to be effective? They seem not to suffer from the political mess that we have in this country and use vaporizers in the hospital for their patients with aids and cancer and other debilitating conditions. Many other countries have medical cannabis. Why do you folks have such a negative view of medical cannabis and in other countries they don’t? Could you please comment on this? Hi, Chad. Thanks for inquiring. Dr. Thurstone and I ardently champion the research of cannabis for the responsible development of medications that work. There is no reliable scientific evidence that THC is necessary to synergize the effects of CBD. Instead — and as noted above — there is evidence from preclinical research that THC may be a pro-convulsant in sensitive brains. Other research indicates that chronic use of THC can impair IQ in adolescents. Physicians also are reporting instances of THC toxicity in children taking “high CBD” preparations. Reports of high anxiety, increased seizures and insomnia are highly worrisome — and especially so for children and families struggling with epilepsy. Until more is known, the most conservative course of action would be to remove THC entirely from a CBD product. I 100% agree with Dr. Thurstone, having studied research from 40 years ago showing that even tiny amounts of THC could inflict serious consequences on individuals and offspring. Maybe it is any port in a storm until scientific studies catch up with FDA approval, but in the interim one should not assume that Charlottes Web is all benefit with no harm.